The world is a beautiful place and the people in it are a most fantastic bunch. Take today to affirm what is lovely and amazing that sits right before your eyes, every day. Appreciate the beauty in small things and big things and ordinary things. Practice this affirmation of grace today and every day. Offer the gift of total and complete acceptance by affirming what nourishes the sacred experience of self. Affirm that which you want to see more of. Affirm what you love about your self. Affirm the truth. You are fantastic. Make positive projection work for you. What you focus on expands. What you celebrate reins supreme. By blessing the people, places and things in your life, you are telling the universe you are grateful, that you understand the cycles of nature’s miracles and you are in a practice of deeply understood personal peace with what is, bringing with it expanding, radiating, pulsing peace. Enjoy this practice of accentuating the positive and living your life as an affirmation of the truth of who you are. Affirm often and with great joy…. I am a beneficial presence on the planet. I love who I am and I cherish what I see. in perfect safety and grace and joy with all I encounter. Take Mel’s Love Land Pledge!! For the #Next100 Days I am going to consider the possibility there is another way…. 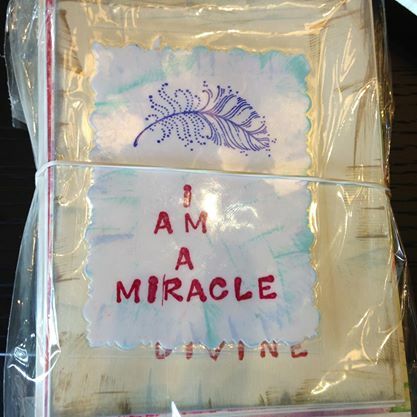 For the next 100 days I am going to consider the possibility there is another way and I will remember I am a miracle.